Has any of these things happened? 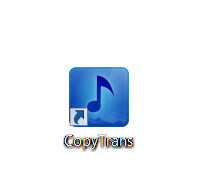 You downloaded CopyTrans from our website: www.copytrans.net/download/, but cannot run the file on your Windows PC. 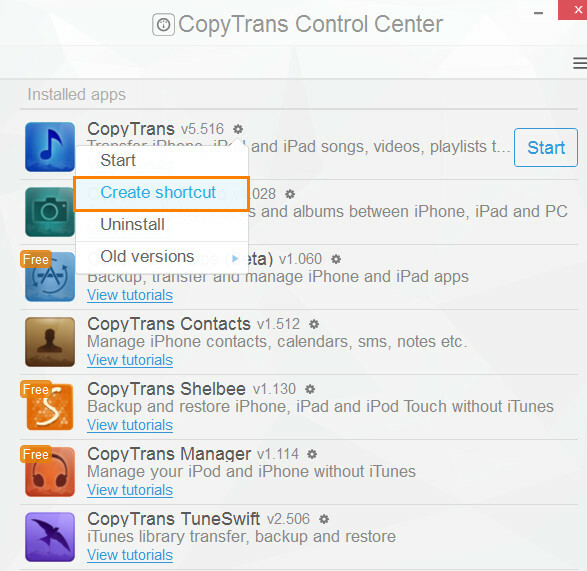 You opened the CopyTrans Control Center, but when you click on the Start button next to the program, nothing happens. You run the CopyTrans program from the CopyTrans Control Center and try to activate it but the procedure fails, though you checked all the most common activation issues. In some cases, antivirus or firewall might prevent CopyTrans programs from running. Most often we receive such complaints from users having Norton, Trend Micro or Sophos installed on their machines. 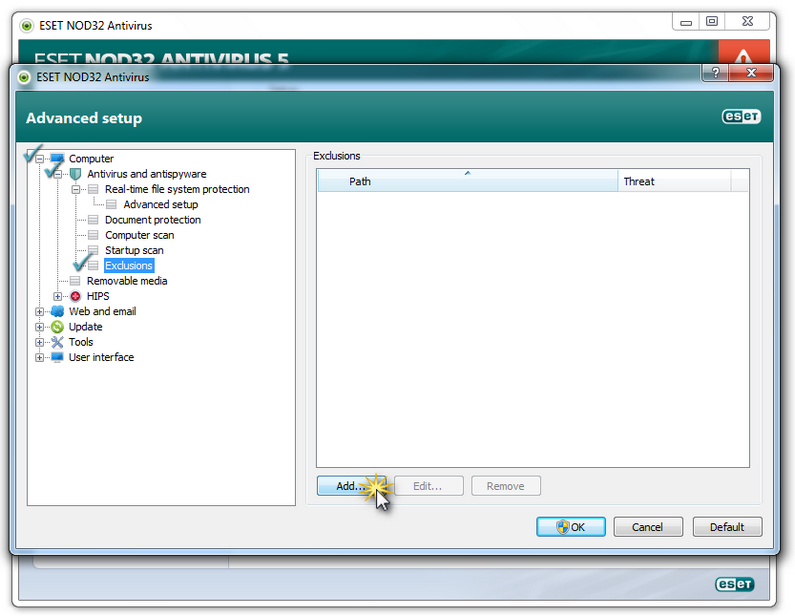 These antiviruses often block legitimate files by mistake. Why does antivirus sometimes define CopyTrans as malware? 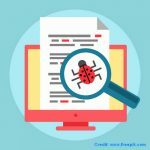 Some antiviruses send alerts warning the user that CopyTrans might be potentially harmful because we encrypt all our programs and obfuscate the source code, so no third-party software can go inside CopyTrans and see how it works. This prevents our apps from being cracked, hacked or reverse-engineered. In other words, antivirus sees CopyTrans as a sealed container and considers it suspicious. To obfuscate the code we use a small debugging tool called Themida. It encrypts the program source code and compresses the executable files. Thanks to Themida, our programs size doesn’t exceed 10MB and they don’t take much space on your computer. Why should I trust you and not my antivirus? The files that we offer for download are 100% secure and clean from any malware, spyware or adware. We deliver the Swiss quality and guarantee it by signing all our apps digitally with the Ursa Minor certificate. Ursa Minor is a company behind CopyTrans: its legal address, email and phone number are available publicly. If you are not the one who can easily believe the Seller’s words, you are welcome to verify. You can also scan the downloads on virustotal.com and view the file analysis based on the file analysis suggested by the major antiviruses. C:\ Users\ [USER NAME]\ AppData\ Roaming\ WindSolutions\ CopyTransControlCenter\ Applications and choose the needed program exe file. 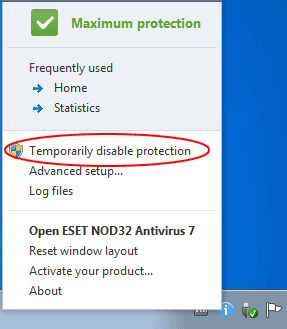 If disabling antivirus didn’t help, try to install a standalone version of CopyTrans. It helps in certain cases. 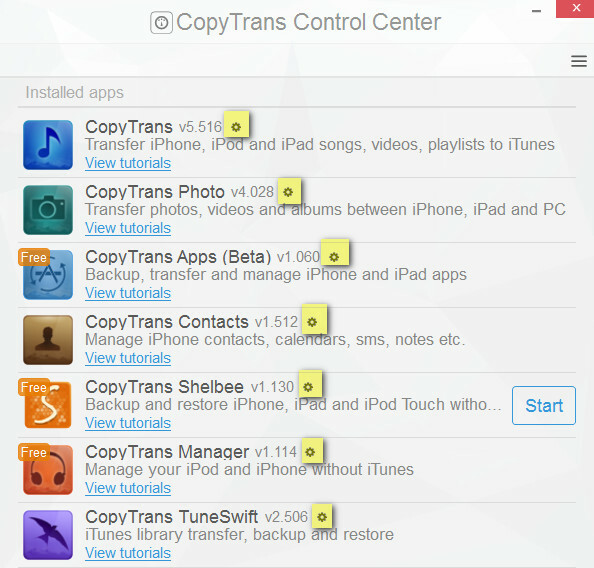 This article will help you with this: How to install any CopyTrans program on a USB flash drive. If you are trying to use CopyTrans on your work computer, the installation or activation might fail due to the Local Group Policy settings configured on your Windows machine. In this case you need to ask the system administrator to allow installation of CopyTrans on your PC or install it for you. Note: Please note that terms and conditions (and price) for using CopyTrans at home and in the business environment are different. Versions available for download from our website are for home use only. The following article explains how to purchase the CopyTrans programs for businesses. Read more about the difference between CopyTrans Home and Business Licenses: Can I use the CopyTrans programs on several computers with one license? 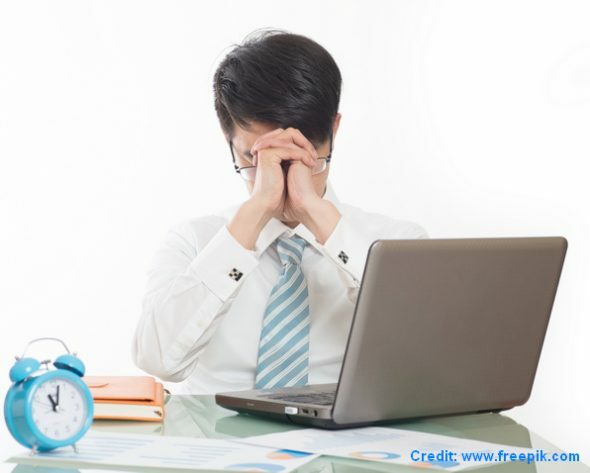 explain in your email what you are trying to achieve, what you did step by step and what exactly failed. attach the program log files to your email. We’ll need to have a look at them to understand the reason of the problem. Here’s how to generate the program log files. When your iOS device is not recognized at all, view the following guide: My iPhone is not detected. If your iPhone, iPod touch, iPad is not recognized or detected as a camera, refer to this article. If your device accidentally (or intentionally) took a bath, read I dropped my iPhone in water – how to prevent water damage? Rina is a Marketing and Tech Support specialist helping our English speaking customers. People have always been her best priority. She's very loyal to her friends and frequently goes out of her way to help them. She adores traveling, exploring new stuff and playing tennis.